This fall, we got a glimpse behind the scenes of the Arizona Coyote's Paw Patrol as they took over our Snapchat account. More than just a dance team, these guys were busy on game day with a plethora of activities: ice clean-up, t-shirts guns, MCing, greeting fans, ice games, and more! It was impressive to see all that the Paw Patrol takes on at every game, in addition to being the first professional dance team to dance on the ice! With two new uniforms this season, the team created their own signature look for their busy game days! "We really looked to our past for inspiration, and created an updated, modern Coyotes Paw Patrol uniform that everyone LOVES!" Said Team Manager Rachel Korchin. 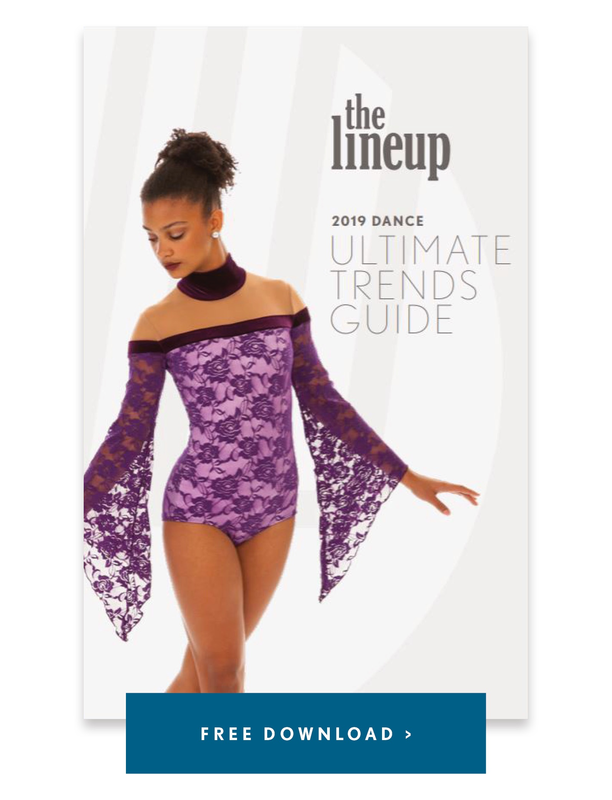 "The Coyotes Paw Patrol is a sporty, athletic team and we wanted our uniforms to reflect that all season long," Korchin explained about their two new looks: a maroon crop top with pants, and a white dress. The colors reflect the hockey team's uniforms, and new look exudes a classic ice crew feel that is flexible enough for future seasons! "This look can be built upon year after year as we add new pieces and continue to evolve our overall look." In addition to game-day, the team also makes a lot of appearances in the community. The idea behind the white dress was to create an uniform option that was versatile enough for appearances within the community, as well as game day! The Coyotes Paw Patrol is a promotional force all over Arizona. What makes us unique is our versatility, and how we are incorporated throughout the entire organization. On game nights, the Paw Patrol handles both the on-ice crew duties (pushing the shovels), as well as the in-stands promotions such as T-shirt toss, handing out prizes, and activating on-ice games during intermissions. We also attend hundreds of community appearances throughout the state all year long, ranging from local 5Ks, to large scale benefits and cross-promotions with our marketing and sponsorship departments. The Coyotes Paw Patrol provides entertainment to our fans and represent the Coyotes brand as ambassadors of our team and our game. We have SO many great memories of our organization over our existence, from hat tricks to Whiteouts, but sometimes it’s the smallest things that leave the biggest impact. Every season, there are always a some little ones who dress up as US on our Howl-o-ween game, and that always makes us smile. Also, this season on Hockey Fights Cancer Night, we hosted 4 year old Brooklyn, who is currently fighting the disease. She was our “Mini Paw Patrol” and we spent all night with her giving her an experience that none of us will ever forget. Watching her smile and her positive attitude, despite what she goes through every day, left an impression on our entire team. We will never take anything for granted and truly feel honored to have the job that we do. The Coyotes are such a young, versatile team and we’re so excited to watch them grow into the team we know they can become! Our “young guns” make this team so exciting to watch, and we know our future is bright! 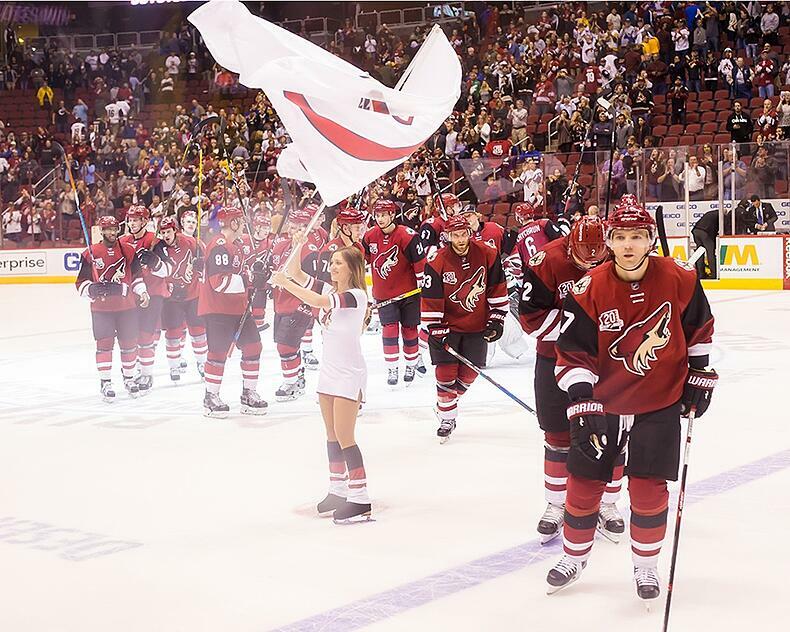 Also, this season we are celebrating our 20th Anniversary of the Coyotes in Arizona, and we have quite a celebration planned for February 18th. We can’t wait to show off all the great moments from our organization’s history that night!